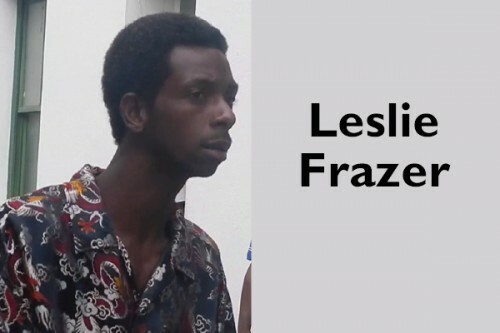 Leslie Frazer, 34, was convicted of attempted murder on November 29, 2013, and this morning, he was sentenced to 8 years in prison. During the trial, which started on November 25, 2013, Faron Waight, the victim, testified that after seeing Frazer around his house in the early morning hours of May 29, 2011, he confronted him whilst armed with a stick at the corner of King and Tigris Streets. Waight told the court that when he saw the machete, he turned around to run, but he still was chopped in the back of his head, causing him to fall to the ground. After Waight fell, Frazer continued to chop him, causing injuries to his arm, chest, back and face. Today, at the mitigation hearing, Frazer presented only one witness to the court. Brendan Mariano told the court that Frazer was a good person. After hearing Frazer’s mitigation plea, Justice Lucas then sentenced Frazer to 8 years in prison. However, three years were deducted from the sentence because, according to the judge, Waight provoked the crime upon himself. Frazer will therefore only serve five years in prison, and his sentence became effective on November 25, the date his trial commenced.